A white boy stands on a footpath crossing water at a city waterside. Some boats are moored on the other side, near the shore. People walk around and ride on horse-drawn wagons near brick industrial buildings. 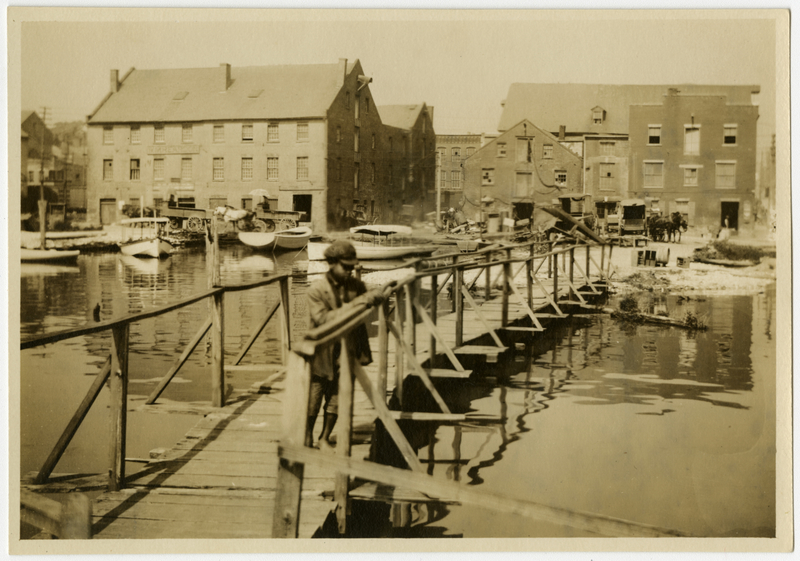 Johnson, Clifton, 1865-1940, “At the Alexandria waterside,” Digital Amherst, accessed April 23, 2019, http://www.digitalamherst.org/items/show/5149.